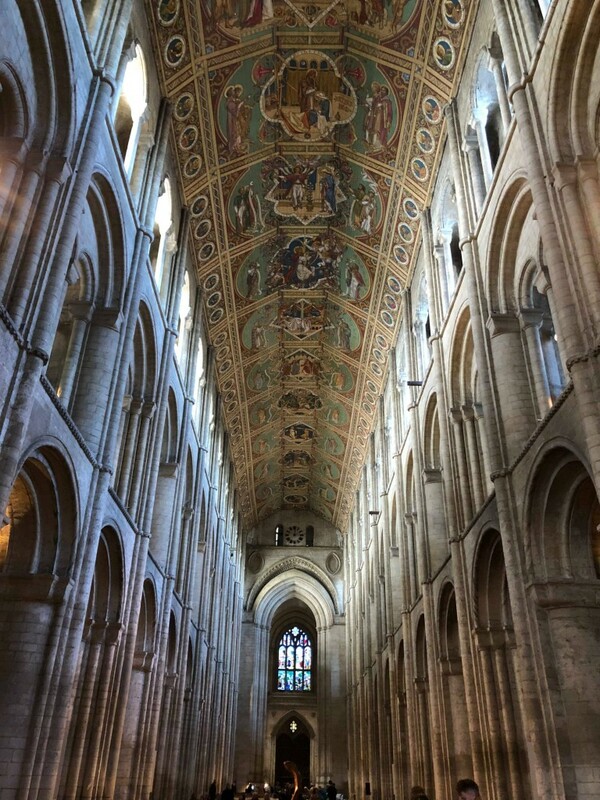 What an honour to have a world première of my Great World Overture held at Ely Cathedral on Saturday 29th September 2018 performed by Ely Sinfonia, led by Kate Clow and conducted by the inimitable Steve Bingham, my long term collaborator. Many thanks to Roz Chalmers for booking this in long in advance. A double honour to be programmed alongside Gustav Holst’s The Planets suite and his lesser known but delightful “The Cotwolds” symphony. The date in particular is the centennial anniversary of the first performance of The Planets by Sir Adrian Boult in the Queen Elizabeth Hall, London. The resulting audience of around 1000 people was unsurprising but also exhilarating! The Great War Overture, scored for full orchestra, is the second of my works to be premièred by the Ely Sinfonia. 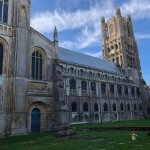 The first was Island, written with Jeremy Harmer, an oratorio commissioned by the Sinfonia and first performed in Ely Cathedral in 2015. The overture incorporates Island’s orchestral themes. UPDATE Here’s a great review from the Ely Standard, written by Ben Jolley. The triumphant opening fanfare in C major leads to a patriotic march with chirpy woodwind and glockenspiel, symbolising the hope of victory as the soldiers leave to fight the cause. After a return to the main march theme, things take a sombre turn, with Elgar-inspired harmonies and inversions subtly incorporating the Dies Irae (Day of Wrath) motif used for centuries in classical works and film scores. This section was originally commissioned by the British Council as a short string quintet for a documentary feature about the Great War and it remains of my favourite compositions to date. It featured as underscore to an especially poignant episode in Island. 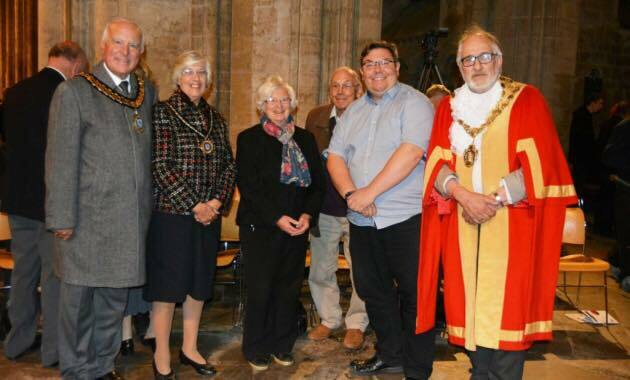 It has since been choreographed by the Essex Dance Network Association to be performed by 1000 dancers at Colchester Castle and will form the basis of a commissioned choral setting of former Poet Laureate Sir Andrew Motion’s poem ‘The Five Acts of Harry Patch’, to be premièred at Stisted Church in Essex, both in November 2018 during the Remembrance weekend. Now, as battle commences, an ominous low them emerges, with relentless side drum and explosive percussion effects enhanced by incessant woodwind. The Dies Irae melody re-emerges in overlapping and rising sequences, performed in concert by antiphonal trumpets, symbolising the the further impact of conflict on opposing sections of a community at war. A return to the victorious opening themes concludes with the fanfare, culminating in a dramatic timpani solo. The performance and composition was well received with many pleasant compliments from dignitaries and public alike: “It’s the new Dambusters march”, said one musician. That’s an honour in itself. Here’s to the next composition and hopefully another première at Ely Cathedral in a few years.